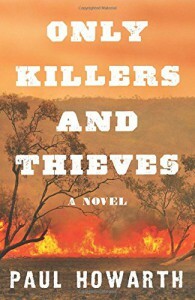 Only Killers and Thieves -- Cormac McCarthy of the Outback - "So it goes." So I was very pleasantly surprised when this turned out to be pretty excellent and yet another "western" that I can say I actually liked. I've been dithering about stars, so as usual take stars with a grain of salt. 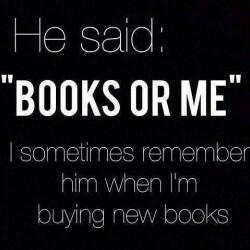 It's a great book. I'm pretty sure it will be on lists of the best of 2018. It's a bloody awful mess quite literally, but it's effective and affecting. It's easy sometimes to forget that racism happens everywhere and that other countries have horrific and bloody histories when it comes to indigenous peoples or people different from the dominant. Tommy and Billy McBride have lived a relatively innocent life with their parents, sister and father's ranch workers, despite the reality of a drought which is killing their cattle. Their parents have raised them well and protected them from the worst of human nature. When the boys are in their mid-teens (fourteen and sixteen, respectively) they arrive home from an afternoon of swimming to find a fateful and senseless tragedy. The boys, on their own now, turn to their most wealthy neighbor, John Sullivan who calls in Inspector Noone and his band of Native Queensland police. We watch as the two of them pervert the boys suffering into vengeance, push them (and the native police) to take part in a genocide of the Kurrong tribe, and eventually cause a rift between the brothers that will last forever. It's gut wrenching to watch the two young boys taken from relative safety and innocence to bloodlust and mental turbulence. It's terrifying to see how misplaced trust or anger can alter morality and belief. While this is set in the late 1800s of Australia, the lessons it paints carry great meaning everywhere still.